Braque Francais Pyrenees is a small Braque Francais. 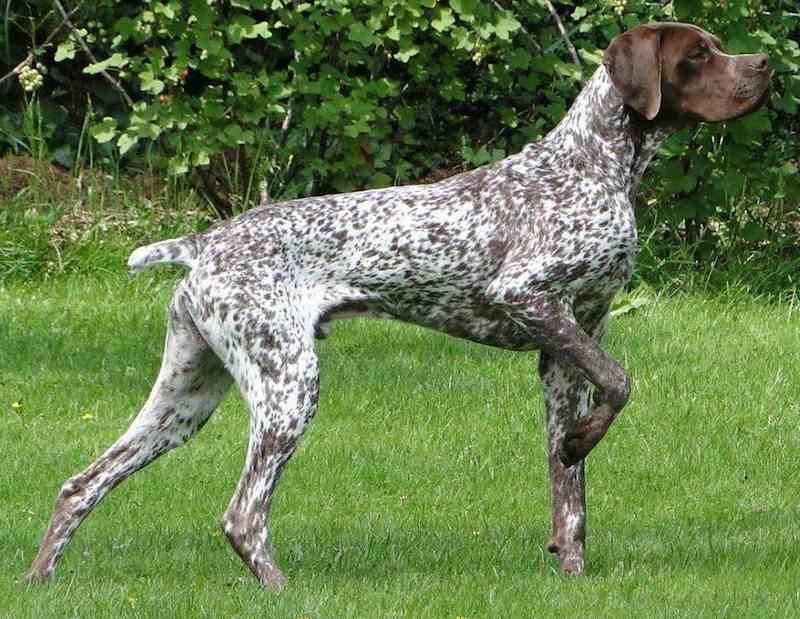 This smaller breed retains the proportions of the bigger Braque Francaise (Gascogne) with dimensions reduced and a lighter structure but with the same general characteristics as the heavy type. 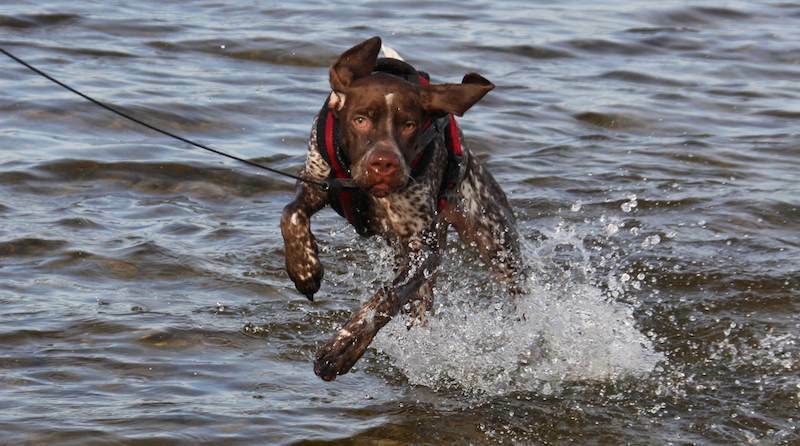 The Braque Francais (French Pointer) is believed to have derived from dogs used to point game in the Mediterranean region as early as the 1300s. Toward the end of the 19th century, the large Braque Gascogne was bred with smaller short-haired pointers to produce the Braque Pyrenees – a smaller, faster dog that better suited the hunting terrain of the French Pyrenees. Temperament: Like the larger Gascogne, the Braque Pyrenees is docile, sociable and gentle. This sensitive breed can’t tolerate harsh corrections. The breed is an ideal hunting companion – calm in the house and able to hunt at length without tiring. General Appearance: That of a rustic hound, well-muscled though without clumsiness. Head: Shorter. Muzzle: Not square but also not snipey, sometimes slightly convex. Lips: Less ample than in the bigger hound. Ears: Set on higher, a little shorter, barely folded. Neck: Little or no dewlap. Tail: Thin, can be docked, sometimes short from birth. Colour: White with dark brown patches of differing shades, with or without mottling. Or dark brown spotted and mottled or self-coloured, with or without white on head, chest, and legs. White with cinnamon patches and mottling, sometimes self-coloured. Markings of pale tan may appear over the eyes, on cheeks and limbs or in scattered mottling. Height: From 18-1/2 to 22 inches (47 to 56 cms) (ideal height 19-1/2 to 21-3/4 inches, 50 to 55 cms, the best size for the various types of work). Faults: Head too heavy, cheeks too prominent, skull too wide or too narrow. Snipey muzzle, light eyes, unkind or mean expression. Lack of pigmentation on nose and eye rims. Ears too long or too short, badly set or carried. Shoulders, ribs and thighs flat, loose skin, too light or too heavy construction. Disqualifications: Black nose, split nose, traces of black in the coat. Link: Braque Pyrenees type more info.